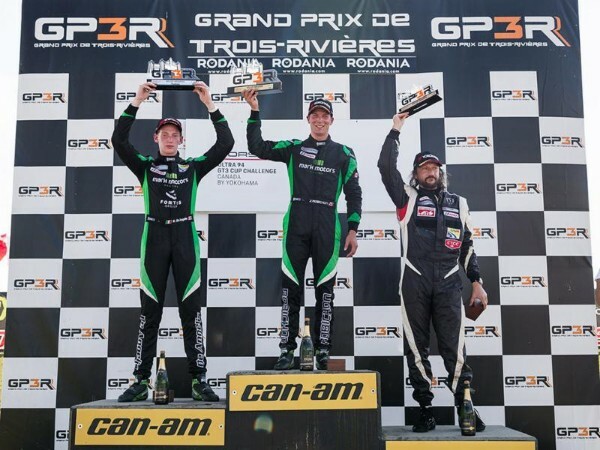 It was a full-course caution in the middle of Saturday’s Ultra 94 Porsche GT3 Cup Challenge Canada by Yokohama race that set the stage for a thrilling Race 1 at the Grand Prix de Trois-Rivières (GP3R). After the No. 83 Porsche of James Walker and the No. 76 of Michel Bonnet tangled in Turn 6 midway through the 45-minute race, the Porsche GT3 Cup Canada field packed up for the final dash to the finish, with Zach Robichon in the No. 98 Mark Motors Racing Porsche ready to hold off teammate Roman De Angelis in second. Yet as the green flag waved, De Angelis’ No. 78 got a quick start on Robichon and the pair battled alongside each other heading into Turns 1 and 2. Ultimately, Robichon was able to position his racecar to close off De Angelis. Robichon went on to win his eighth race of the season by 5.523 seconds. “Roman had a really good restart,” said Robichon, who just last weekend swept the Porsche GT3 Cup USA by Yokohama races at Road America in his series’ American counterpart debut. “I messed it up a little bit, admittedly, and he moved around behind me. I completely lost him in my mirror, so I wasn’t actually sure where he was in Turn 1. Race 1 at GP3R is the seventh Mark Motors Racing 1-2 finish through nine races in 2018, as De Angelis held on to the runner-up spot. Finishing third was Etienne Borgeat, who returned for his third race in Porsche GT3 Cup Canada this year in the No. 2 Lauzon Autosport Porsche. Sitting fourth during the full-course caution, Borgeat readied to pass the No. 8 of Stefan Rzadzinski on the restart. The Quebecker was able to do so to secure the final spot on the podium, in addition to the Platinum Masters victory. Saturday’s Yokohama Hard Charger Award for gaining the most positions during the race belonged to Remo Ruscitti in the No. 96 OpenRoad Racing Porsche. Ruscitti settled for fourth place behind Borgeat, but not without a last-minute attempt for third. Despite the tangle midway through the race, Michel Bonnet in the No. 76 Mark Motors Racing Porsche took home the Porsche GT3 Cup Canada Gold class victory. The Ultra 94 Porsche GT3 Cup Challenge Canada by Yokohama field now prepares for Race 2 at GP3R, scheduled for Sunday at 10 a.m. ET. 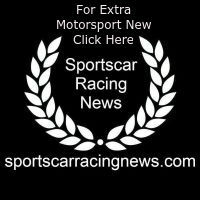 The race can be streamed live on IMSA.tv.